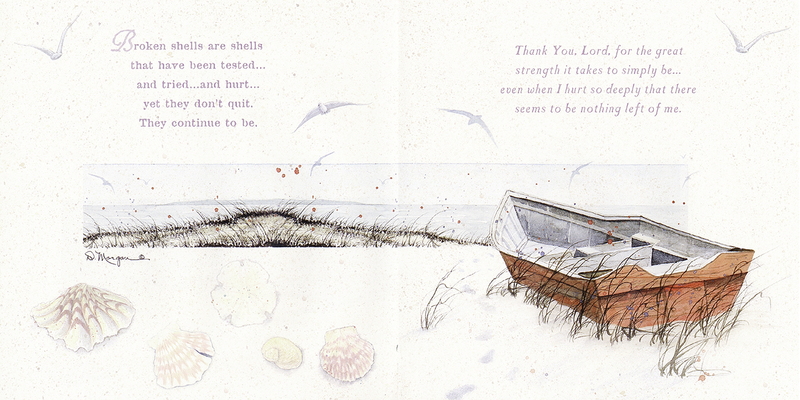 Already a bestseller with more than 100,000 copies sold, Adams’ comforting words are now accompanied by D. Morgan’s exquisite watercolors that summon the very sounds and scents of the ocean. 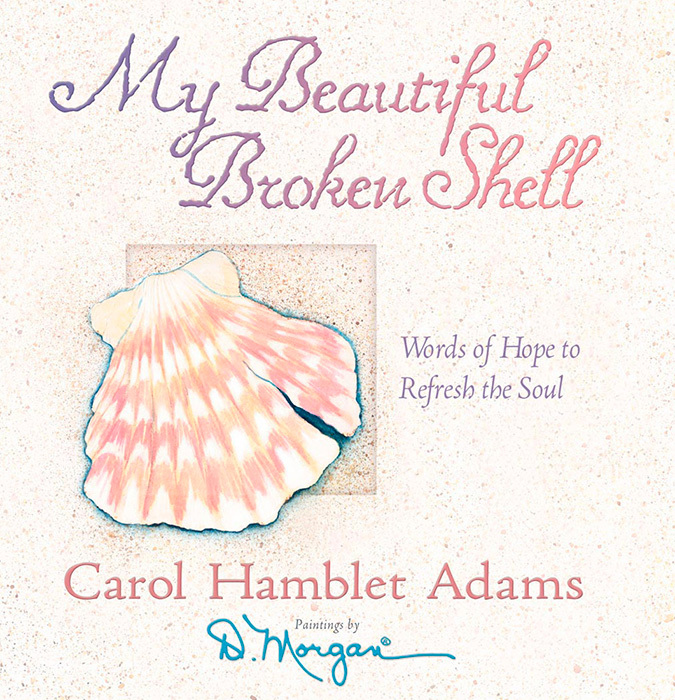 Words of wisdom and peaceful images bring encouragement to those buffeted by life’s storms. 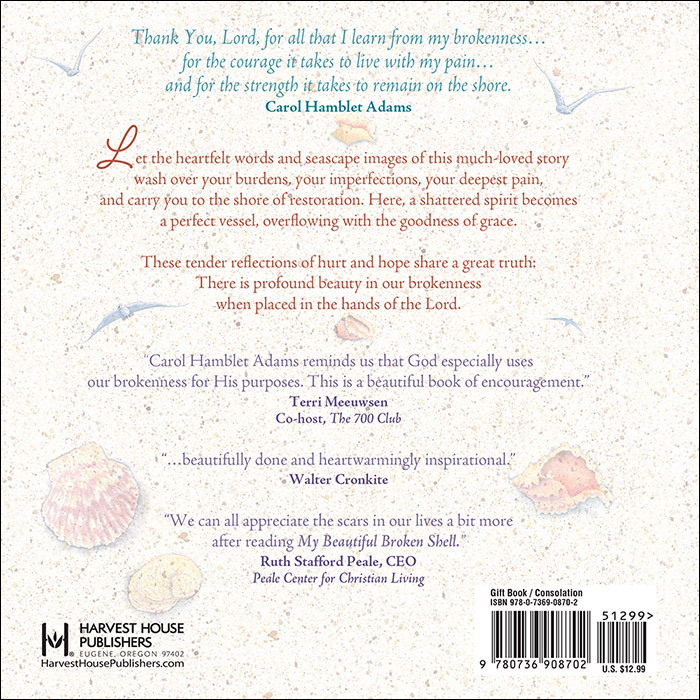 "Thank you so much, Harvest House, for putting God's words to me in such a beautiful book. I pray each reader will 'walk the beach' with me... feel refreshed and renewed by God's loving touch... and come to find His precious gifts of unconditional love and infinite hope along the way." This is the most inspirational book I have ever read. I have Multiple Sclerosis and it helps me get through rough days and also reminds me that everyone goes through difficult times, which makes us appreciate every good day. I give this book to my friends when they are going through dark times in their lives. It is always appreciated. Thank you Carol!